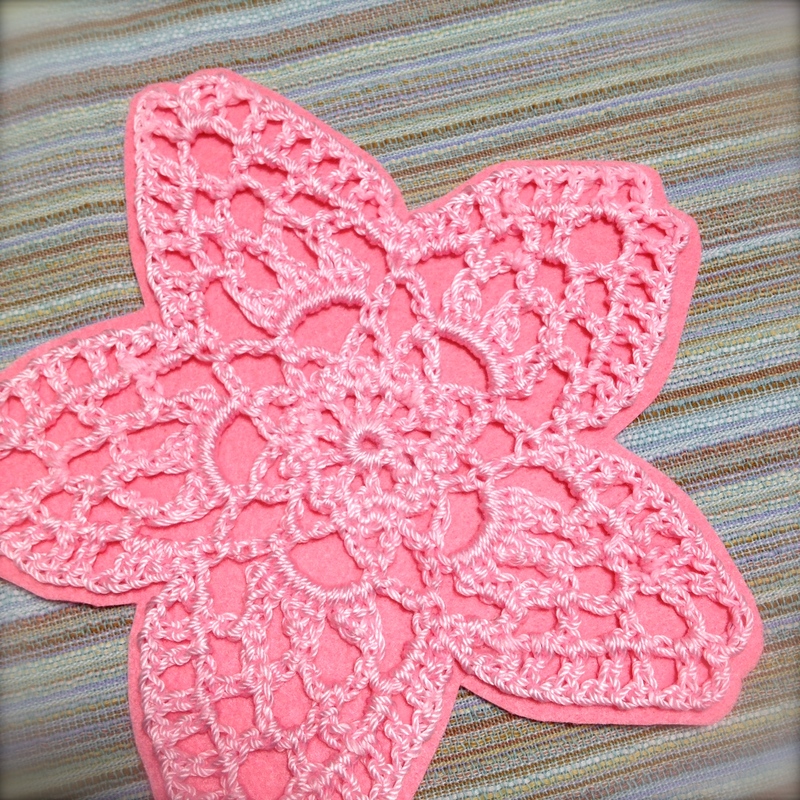 Found this lovely free Cherry Blossom doily or coaster pattern through Crochet a Little‘s fb page, March 11, 2014 posting. 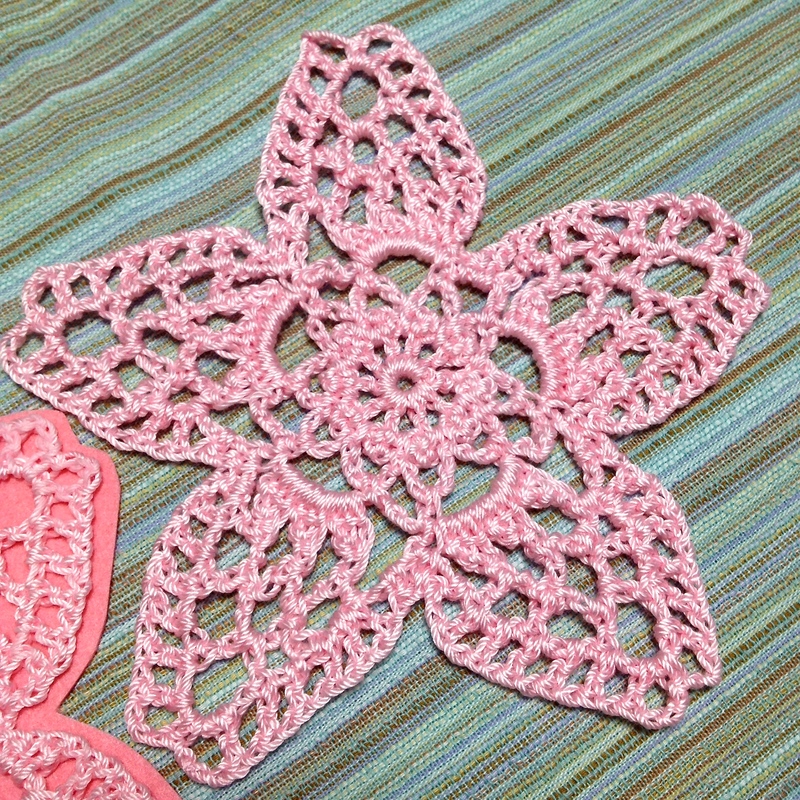 Chi-sa-ko, is the original designer of this great little free charted crochet pattern. Perfect timing for Ohanami, cherry blossom viewing season here in Japan and around the northern hemisphere. Chi-sa-ko states in the pattern she used approx 4g of Aprico thread in the Salmon Pink colorway. A Hamanaka crochet hook size 3 will provide a finished size of approx 11cm across. attached one to a felt backing to create a coaster. Now that I know I can complete it so easily, I’m curious to see how it will look in the recommended Aprico thread, which Chi-sa-ko states means “Sunny Day” in Italian. Off to my favorite yarn store to find it! You can check out an entire year’s worth of floral-themed doilies that were designed by Chi-sa-ko. It looks like each month there will be a new one released.